On April 10 Panama’s President Juan Carlos Varela Rodriguez and U.S. President Barack Obama witnessed an agreement signed by Copa Airlines to order for 61 Boeing 737 MAX 8 and MAX 9 jets. The order, originally announced at the Farnborough International Airshow 2014 in July, includes options for 15 additional Boeing 737 MAX 8 jets and marks the beginning of the British carrier’s transition to an all-Boeing single-aisle fleet. 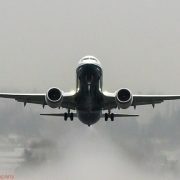 Singapore-based leasing company BOC Aviation has ordered 50 Boeing 737 MAX 8s, 30 737-800s and two 777-300ERs.